Nick graduated from Cardiff University with a degree in Industrial Design. After a brief career as a product designer, he has applied the same principles and techniques to the interface design of the online user experience and users' interaction with websites, software and mobile applications. He is constantly fascinated by the unusable experiences that surround us and dreams of a world with consistent ATM machine functionality, resealable packets that actually reseal, user-tested hotel rooms and for there to be no need for wires any more, ever. With over 20 years of design experience, Nick has specialised in the field of Interaction Design and UCD, and completed a Masters in Human-Computer Interaction at UCL in 2009 to further understand the user-centric design process. Nick is responsible for the creation of information architectures, wire-framing and prototype development, along with conducting user research, user testing and expert usability evaluations. 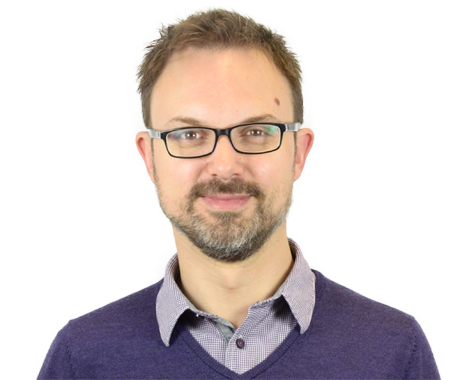 Nick has worked on design, user testing, and consultancy projects for a variety of clients including TSO, M&S, Screwfix, Diageo, Disney, the Department for Work and Pensions, V&A, HFEA and a number of Turkish banks. Before joining Bunnyfoot Nick worked in-house at Yell, Trip Advisor and Honeywell. When he leaves the office, Nick can be found cycling, playing records, planning house renovations or walking Rosie the Labradoodle.